Lilly, originally from Los Angeles and Warris, originally from London met and fell in love in San Francisco over four years ago. They lived near Golden Gate Park during those years and grew to view the city as their home. 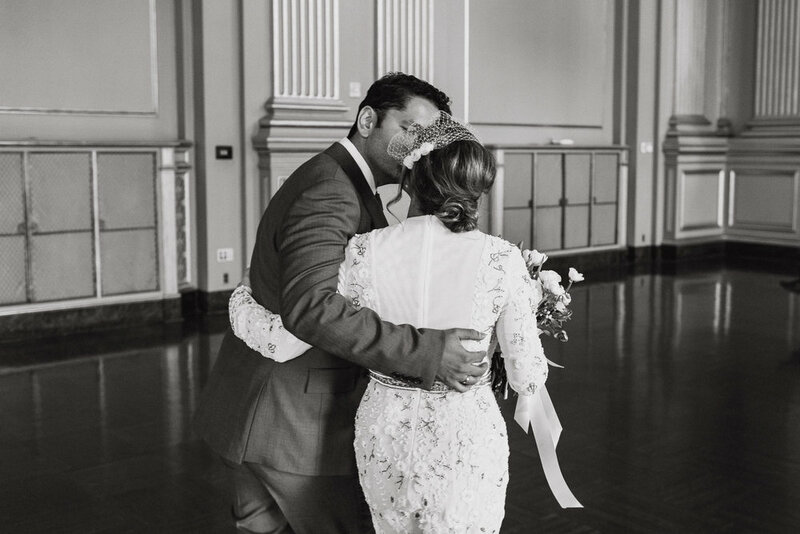 So naturally even after they moved to the South Bay, Lilly and Warris wanted to get married in San Francisco. 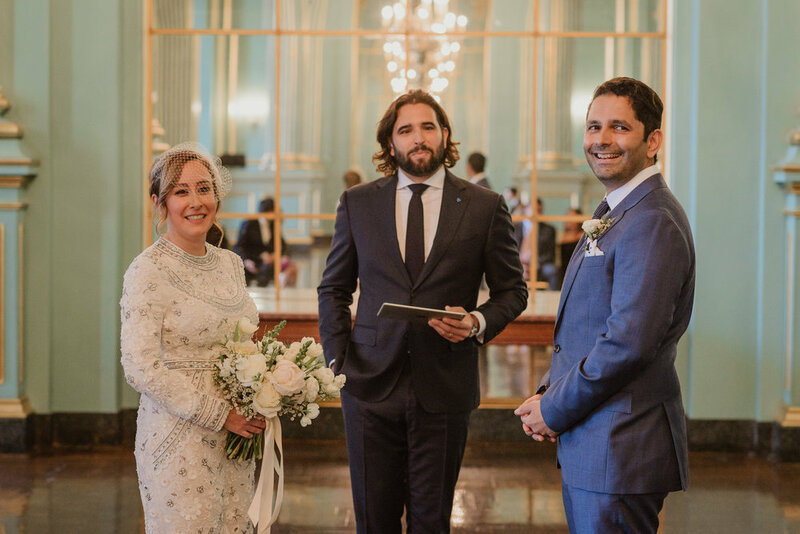 The couple originally decided on San Francisco City Hall for their intimate celebration but due to the sudden and unfortunate passing of Mayor Ed Lee, wedding plans quickly changed. 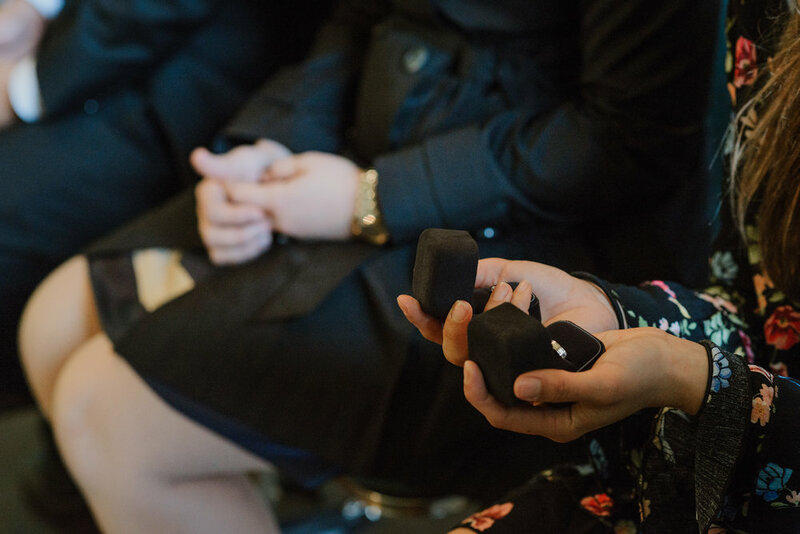 Luckily, the War Memorial Opera House's Green Room was able to accommodate Lilly and Warris's last minute plans and the ceremony was equally as beautiful. 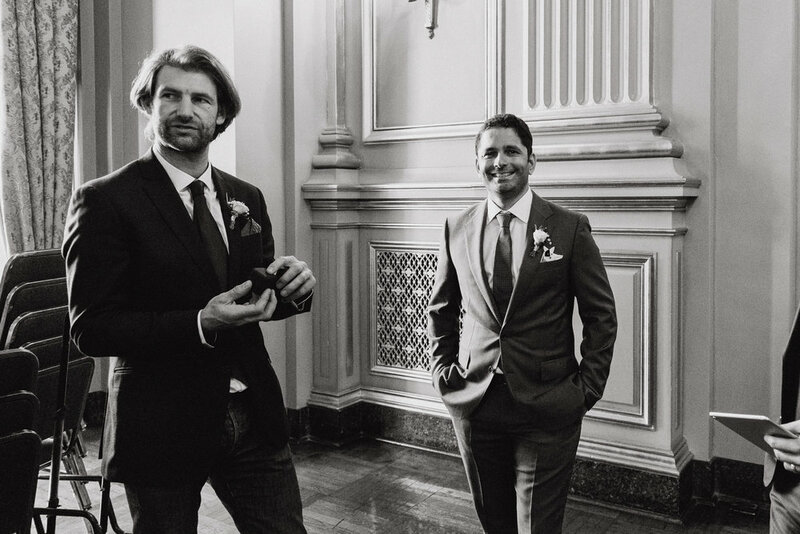 The SF City Hall event planner even allowed us to stop by the building for a few portraits before we headed to Golden Gate Park to meet up with their beloved deaf rescue dog, Boone. Boone is a big part of their family (a little felt version of him was tucked next to Warris' pocket square), especially since Golden Gate Park was his main backyard before they moved. We spent the rest of the afternoon, exploring some of their favorite spots (including a quick stop in front of their old apartment) before the couple headed up to Sonoma for the rest of their weekend celebration.